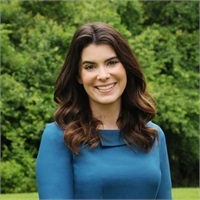 Emily Simcoke has worked at SFP Wealth since 2014. Her mission is to assist individuals and families in defining their financial goals and achieving financial freedom. Her goal is to become a lifelong resource to her clients and to assist them through all of life's stages. At SFP Wealth, Emily is able to utilize the team approach and draw upon the wealth of knowledge of her colleagues to create custom financial strategies for her clients. Emily holds a finance degree from University of South Florida. With over 6 years of investment advisory experience, she holds the Series 7, 63, 65 licenses as well as her Life, Accident and Health License. Emily is a CERTIFIED FINANCIAL PLANNER™ practitioner and is an active member in the Financial Planning Association. She is also a member of Boston’s chapter Junior League, an organization established by young women interested in addressing the community challenges and needs of Greater Boston. Outside the office Emily enjoys spending time with her family and friends. You can often find Emily training for the next Ragnar race or triathlon!